R M D Electrical Services - Alarms/Security, Electrician based in Havant, Hampshire. Invoice history based on 640 reviews. Since then we have established into the professional and reliable company we are today, with highly trained engineers that take great care and pride in their work. with experience working in all property types including council, listed, educational, medical and government. 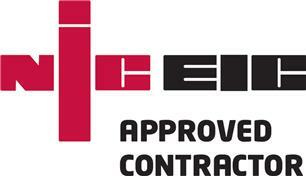 We are a Part P registered company accredited through NICEIC with whom all work is certified and guaranteed.